Alex Scott was a four year old cancer patient who decided to set up a lemonade stand to raise money for the doctors who had helped her. Her parents thought she would make $10.00- she made $2,000.00 in one day. The rest is a story that is not only inspiring, humbling and profound, but completely, unequivocally extraordinary. 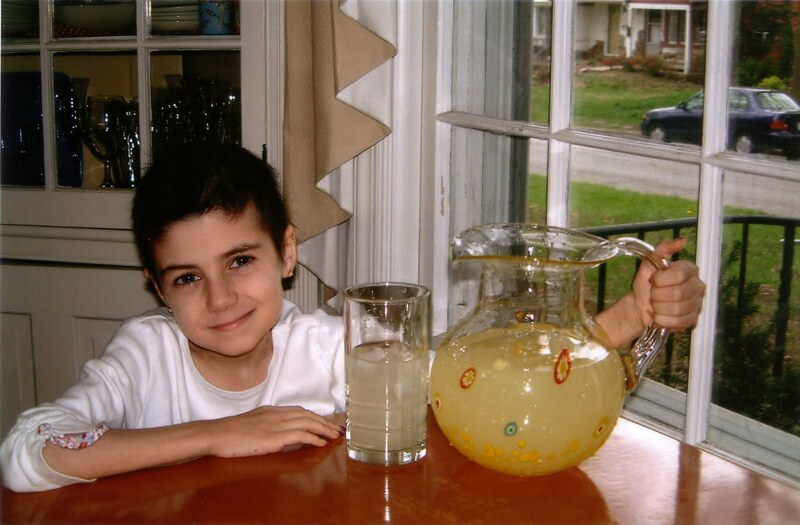 Love and Water- Can you explain how Alex’s Lemonade Stand started? Jay Scott- Alex’s Lemonade Stand Foundation was started by my daughter, who was a childhood cancer patient, when she was four years old. She had been getting some experimental treatments that really helped her, so she thought that if she set up a lemonade stand she could help the doctors by giving them the money she made to help other kids who were sick like her. She first asked us about having a lemonade stand after she had been in the hospital for a month getting a stem cell transplant. When she first got out it was winter and we were living in Connecticut, so we said she should wait until it got warmer. She kept asking about it, and finally my wife asked her what she wanted to buy with the money, because we wanted to just buy it for her. When she said she wanted to give it to the doctors, we thought that was really cute, so we let her set it up. We thought she would make about $10.00. Word got out about it, and people came from all over the area, and she ended up raising $2,000.00 in one day. It was great, she was happy, we delivered the check to the hospital and basically forgot about it. We then moved to Philadelphia in order to be closer to the hospital she needed to be near for her treatments. When we got there Alex said she wanted to set up her lemonade stand again. We said it would be really hard because we didn’t know anyone in the area. She insisted, so we made her wait until the Fall when she was in school because we thought we would know some people by then. We told her that she probably wouldn’t raise as much as she did the first time, so as not to get her hopes up. We gave her some fliers to give to the kids at school, hoping that would help get the word out for her. When the time came, it was cold out and she raised around $800.00. She wasn’t happy, and told us it was our fault for making her wait until it was cold outside and nobody wanted lemonade. So when it got warm out, we let her set another one up, sent fliers home with the kids again, and somehow the word got out to the newspaper here in Philly. She ended up making around $12,000.00 that day. L&W- How did you have enough lemonade for that? JS- We had to keep running out. It was my job to keep the lemonade stocked and take out the garbage, my wife’s job was to mix it up for her, and Alex served it with her friends. She had a great time, and we brought that money to the hospital. Again we thought it was a one-time thing. But the next year she was ready to set up another one. And we were thinking there was no way she could beat $12,000.00- we were concerned that she would be disappointed again. But we let her set it up, and in the pouring rain she raised $18,000.00 in one day. Our yard was trashed, our rugs were ruined because so many people came inside our house, but Alex has a great time. My wife had called the police earlier that day to let them know there might be a traffic jam around our area because our daughter was having a lemonade stand. They thought she was a little crazy, but when the day ended they called her back and said if Alex ever has a lemonade stand again to let them know because it caused a major traffic jam. L&W- What happened from there? JS- After that day an amazing thing started to happen. The word got out to people outside of Philly and people started having their own lemonade stands and sending Alex letters with money saying they had raised more money for her cause, hoping it would help. Letters started coming from all over the country, and eventually all over the world. She got letters that would say “Lemonade Girl, United States” on the envelope, with no address, and the post office would deliver them to us. That was 2003, and with the help of other people that year she raised around $100,000.00. All this time she was still fighting her cancer. She had some good times and some bad times, and when one treatment stopped working she moved on to another. The longest she was on a treatment was a year and a half. By the end of 2003, she wasn’t doing very well health-wise. The cancer had spread as high as her neck and as low as her foot, and was starting to invade some vital organs, like her liver. So we certainly were not going to bring up the lemonade stand again. But then we found out she was still planning to set one up that year in spite of her condition. L&W- How did you find that out? JS- We would get calls from reporters wanting to interview her, and even though she was only eight at the time she was pretty grown up. So we would always tell her who was on the phone and let her do the interviews. It was usually newpapers, but one day a magazine called, I believe it was Family Circle, and Alex took the interview. My wife heard her tell the woman that last year her goal was $100,000.00 and she made that, so this year she was going to raise a million dollars. When she hung up the phone, my wife said to her that she shouldn’t tell people she is going to raise a million dollars, because it’s very unlikely that she will raise that much. Alex said that there were a lot of things we had told her she couldn’t do and she did them, and that she believed that if other people helped her that she knew she could raise a million dollars. That was the first time that we realized we needed to help her, because we knew she didn’t have much time. So many people had written to see what more they could do to help throughout the year, so we decided to have at least one person in every state set up a lemonade stand the same day Alex was going to set up hers. We called it Lemonade Day. So in 2004, we had the first lemonade day. We had to move ours to the school because of the traffic issue, and there was a stand in every state and a lot of other countries. A couple of days before that day she went on the Today Show for the second time, and she had done a taping on Oprah and the CBS Morning Show, all of which aired the same day. At the end of the day, with the help of all the lemonade stands around the world, she raised $700,000.00. We got a call from Volvo, one of her sponsors- because even though she would set up stands in our yard she had sponsors. They asked how she was doing, and we said her health wasn’t good at that point. They asked if she had raised the million dollars, and when we told them she raised $700,000.00, they said to tell her that they were going to take her over the million dollar mark be doing a fundraiser in all of their dealerships. We told her, and she clapped twice and set and even higher goal for the next year. She died a couple of weeks later, knowing that she had reached her million dollar goal. JS- After she died we thought the lemonade stand concept would go away. We usually got hundreds of emails a day when she was alive from people wanting to help, and when she died we ended up getting twice as many, saying that we had to keep the lemonade stand alive. 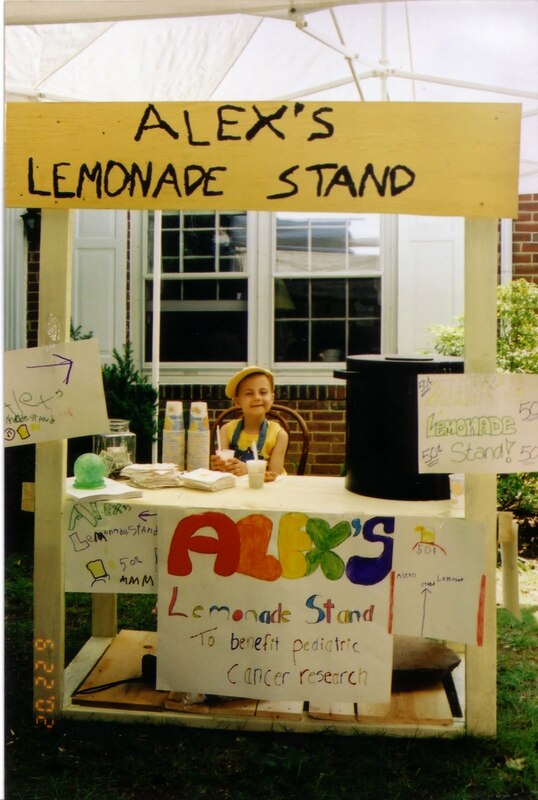 So in January of 2005, the Alex’s Lemonade Stand Foundation was born. L&W- Can you talk about how the foundation works today? JS- Lemonade stands are still a huge part of who we are and always will be. The percentage of funds from lemonade stands alone has gone down over the years, but the funds raised per lemonade stand has gone up. There are around 20,000 lemonade stands around the world, which makes up around 40% of our funding. But people do other kinds of fundraisers now as well. Some people run marathons, we have a Lemon Ball every year, and we have a lot of corporate sponsors. So many great people in the world who are so giving and involved with giving back have helped us and continue to help us raise money to find a cure for childhood cancer. L&W- So Alex had a kind of cancer called Neuroblastoma, correct? JS- Yes, it usually occurs in infants one and under. She was diagnosed a day before her first birthday. It attacks your sympathetic nervous system, so it usually starts around the spine. Hers started in her adrenal glands. It can be very aggressive. Unfortunately hers didn’t respond to therapy right away, like we had hoped. She lived with it for seven and a half years, which is much longer than kids usually live with it. L&W- Why do you think she was able to live so long? JS- She was a fighter, and her tumors seemed to become active in stages, where they would be active and then slow down for a period of time. We could never get rid of it all, so it would continue to grow. 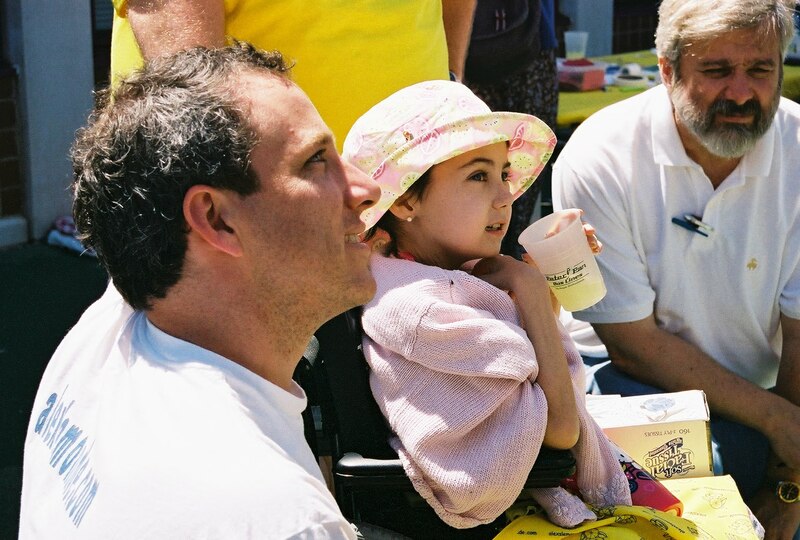 L&W- What is the most moving moment you’ve had with Alex’s Lemonade Stand? JS- Alex spent a lot of time in the hospital- an amazing amount of time. She always had problems with her platelets, where she would bleed a lot. I was responsible for taking her to the emergency room in the middle of the night because my wife was on duty during the day with the kids. I was taking her to the emergency room at around 2:00 or 3:00 in the morning, because she had a severe bloody nose. I said to her, “Alex, I’m so sorry you have to go through this.” And she said to me, “I’m happy for the things I have, I’m not unhappy for the things I don’t have.” I thought that was a pretty profound thing for a seven year old to say when she’s going to the hospital in the middle of the night. It was so profound that I actually called my wife to tell her what she said to me. It made me appreciate everything I have. When I’m having a bad day, I just think about that. L&W- Is there anything else you want people to know about the foundation? JS- One is that childhood cancer kills more kind in the United Stated than any other disease. So it is a big problem, because even the kids who survive have long-term side effects, including learning disabilities or loss of limbs, eyes, kindneys, among others. And this is all because of the treatments. So we need to find better treatments for these kids. I also like to tell people about some of the things we do as a foundation. We try to attack childhood cancer from multiple angles- we try to help the families, since it is so difficult financially. We help them in any way they need, including a travel fund. We also give to research projects for preliminary research. The government won’t fund research unless there is proven research already in place, so we give doctors that seed money to begin their research and to then get government funding. And finally, anyone can make a difference. It doesn’t matter how much you have, there is always something to give. L&W- I noticed you state that on your website, and it is very similar to the concept of Love and Water, in that every little bit counts. I think it’s so important that people are reminded that a very small donation does make a serious impact in the grand scheme of things. JS- Yes, it’s definitely true. Just to give you an idea of how that works in real numbers, the average lemonade stand raises around $400.00. But when we add up all of the stands from around the world, it adds up to tens of millions of dollars. So every little contribution makes a bigger difference than people realize. We take every donation to heart, as I’m sure to people making the donations do as well. L&W- Thank you so much for sharing Alex’s story. JS- It was my pleasure. Thank you. Wow! What a touching story. It really does go to show that mountains can be moved by the efforts of one. Don't ever think that you can't make a difference! Thank you for sharing the story of this wonderful girl. As Love and Water says, "every drop counts"